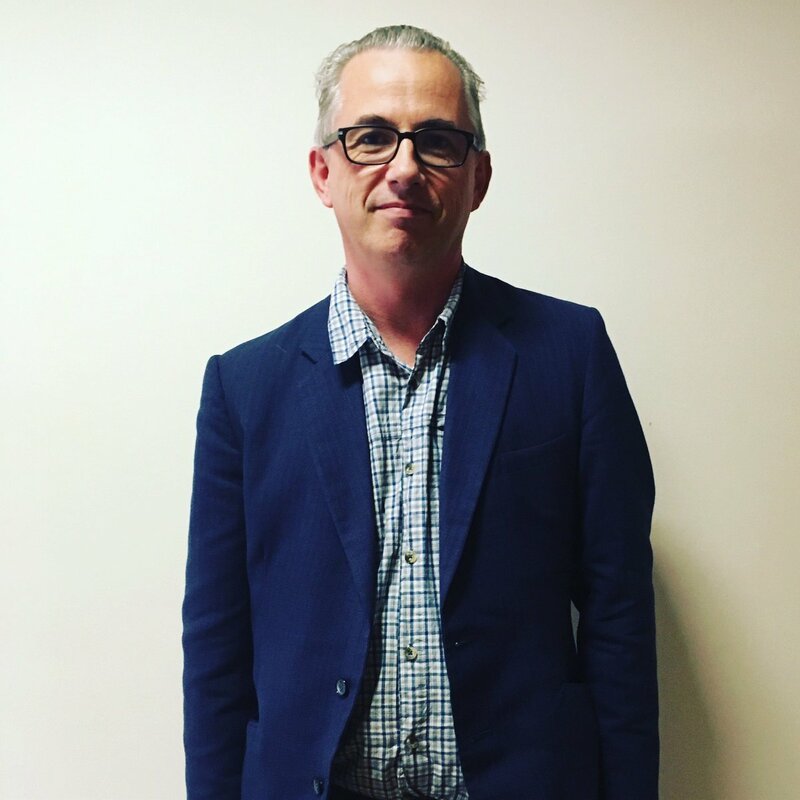 This week on The Book Show Sinéad Gleeson speaks to David Hayden about his debut collection of short stories, Darker With The Lights On which has been published recently. The stories take as their starting points situations which are every day or seemingly normal and then depart from these into a world of strangeness. The tears of miners underground are used to irrigate vegetables, a giant squirrel teaches creative writing to children and one story is a meditation on Play. David discusses how he formed the collection and reads one of the stories in full. Regan Hutchins is in Los Angeles to hear about one of that town’s most celebrated writers, John Fante. His coming-of-age novel, Ask The Dust, was first published in 1939 and is the story of a struggling writer, Arturo Bandini. It’s also the portrait of the Bunker Hill district in downtown L.A. with dive bars, seedy restaurants and diners. 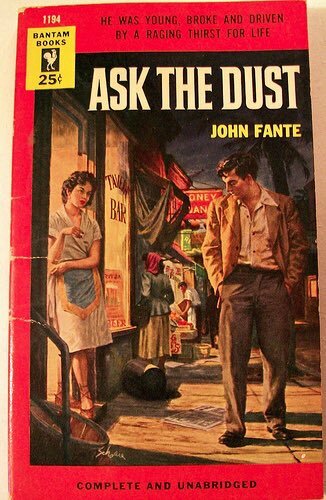 Regan meets John Fante’s son Jim to hear about the writer and he also learns about how Ask The Dust’s journey to fame was disrupted by Adolf Hitler’s Mein Kampf ! 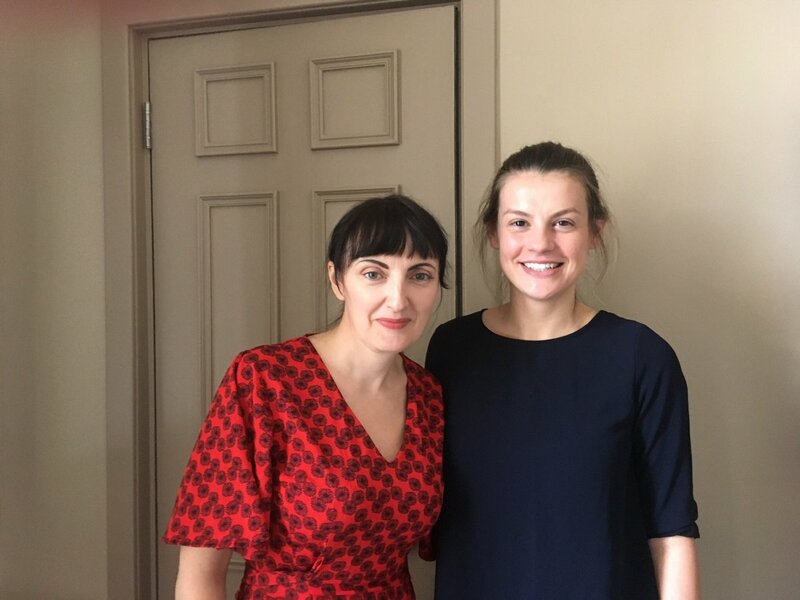 Sinéad recently met Julie Buntin to discuss her novel Marlena which is the story of a friendship between two teenage girls Marlena and Cat. Set in rural Michigan, Cat’s life is turned upside down when she encounters 15 year old Marlena – a wild beautiful girl who will be dead within a year of their friendship. The novel is the story of how, decades later, Cat comes to terms with the loss of her friend. Julie tells Sinéad about how some real life experiences found their way into the writing of the book and she wonders why some critics will complain about a surplus of books about teenage girlfriends but never about murderers! She cites Lorrie Moore’s Who Will Run The Frog Hospital? as an important influence on her debut novel. Our Dear Character competition ended earlier this week and The Book Show team are busy reading the letters listeners have sent to a character from a novel. They will draw a shortlist from the entries and Laureate for Irish Fiction, Anne Enright, will judge from these to select a winning letter. She will do this at a special hour-long recording of the Book Show on October 21st in Smock Alley Theatre in Dublin. Joining Anne Enright, will be writers Donal Ryan, Lisa McInerney and Ross-O’Carroll Kelly creator Paul Howard. We’ll also have singer Lisa O’Neill on stage to sing songs inspired by characters from literature. On the show we’ll be looking at all aspects of characters in fiction – how to write them, is it true they sometimes write themselves?, why are some more memorable than others, how do writers feel when they kill a character? There are still some tickets available for the recording and you are invited to join us for this. So book your place here.